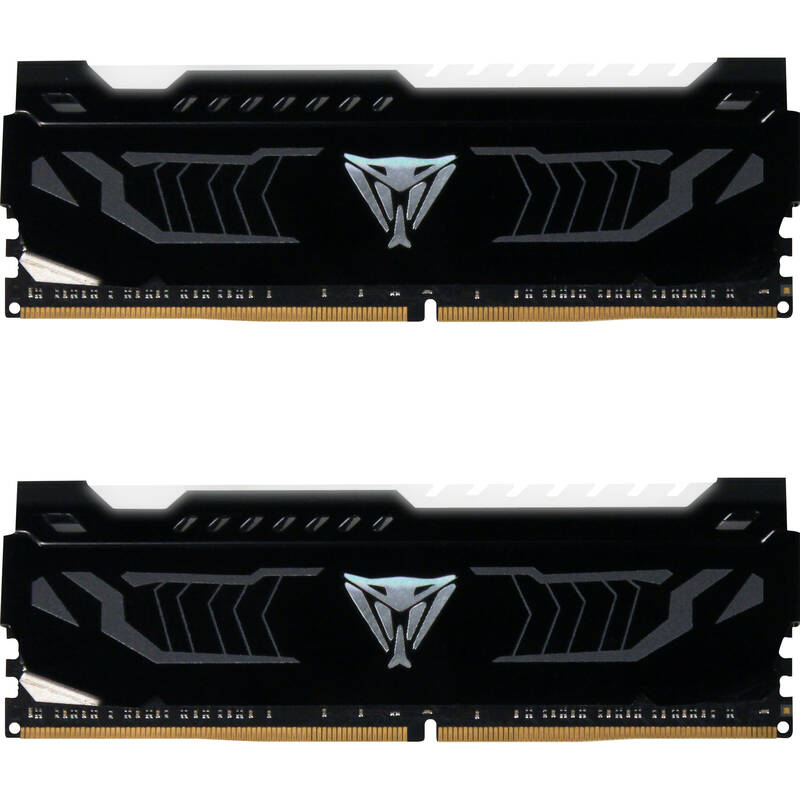 The 16GB Viper White LED Series DDR4 3600 MHz DIMM Memory Kit (2 x 8GB) from Patriot comprises a set of two memory modules of 8GB capacity each, with a total of 16GB memory. They are unbuffered, non-ECC modules with 16-18-18-36 tested timings, and are designed to run at PC4-28800 (3600 MHz) at 1.35V. They feature heat shields for superior heat dissipation to ensure reliable performance even when using the most taxing applications and are RoHS compliant. These modules are tested across Intel 100/200 series and AMD 300 series. Weights 1.7 oz and measures 1.8 x 5.3 x 0.3"
Box Dimensions (LxWxH) 7.1 x 6.2 x 0.9"